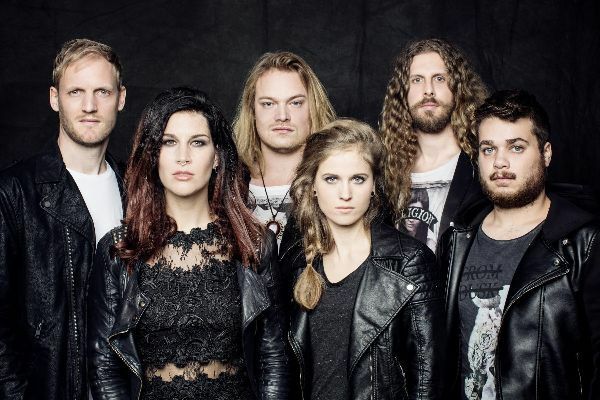 Delain celebreaza anul acesta a 10-a lor aniversare si au pregatit un show deosebit intitulat "A Decade of Delain: Paradiso Birthday Bash" care va avea loc in Amsterdam pe data de 10 Decembrie. Cu ocazia acestui eveniment, Delain vor inregistra un album live CD/DVD Live/Blu-ray. "Happy Birthday to...US! Dear Delainers, as many of you know, 2016 marks a very important milestone for Delain: our tenth anniversary in music! In September 2006, we released our debut record, Lucidity, and your overwhelming response to our first record made us turn Delain: The Project into Delain: The Band. That was ten years ago, and today, we find ourselves looking back at a decade of rocking stages all over the world. Four albums, two EPs, and ten years later, we feel that we need to celebrate this milestone properly...with you! "On December 10, 2016, legendary Amsterdam music venue Paradiso is ours to celebrate our 10 year anniversary. You can already order your tickets here. We are planning to go all out for this one! Best of all, the entire show will be recorded and made available on DVD, Blu-ray, CD, vinyl, and digital download! We've made it as a band for ten years thanks to you, so we turn to you directly to help us make this happen. Please check out our Pledge campaign here, and get ready for the biggest birthday bash ever! We are incredibly excited about this project and we hope you will join in with us!" Pe DELAIN ii vom vedea anul acesta pe scena Metalhead Meeting 2016 alaturi de formatii celebre precum Kreator, Exploited, Eluveitie, DrangonForce, Rotting Christ si multi altii. Pentru acest eveniment biletele sunt disponibile online pe www.iabilet.ro, www.eventim.ro, www.myticket.ro si www.bilete.ro dar si in reteaua aferenta IaBilet (Magazinul Muzica, Metrou Unirii 1, Perfect Tour, Magazinele Uman si IQ BOX, reteaua de magazine Say – partener Orange, pe terminalele self-service ZebraPay din toata tara la Hard Rock Cafe si la Beraria H).